Olivia Caldwell Foundation's primary affiliation is with Children's Hospital Colorado and the neuro-oncology research lab headed by Dr. Nick Foreman. We have a special interest in pediatric brain tumors, especially low-grade gliomas. We give one annual donation to our research team in October to mark the anniversary of Olivia's passing. Although the bulk of our funding goes to Dr. Foreman and his team, we are willing to consider grant proposals from other reputable research labs. 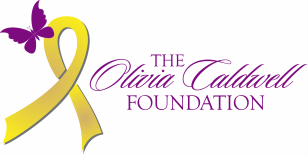 To have your team's research project considered, please submit a request to Olivia Caldwell Foundation for review. We have a special interest in pediatric brain tumors, but we are willing to consider grant proposals for other childhood cancers. For additional information please contact Katie Caldwell-Burchett.